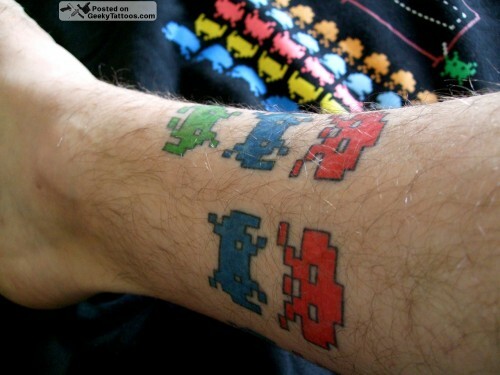 Dan Beaury sends in his Space Invader tattoos that are simple, timeless, and don’t really need much explanation. Ink by Rae Leduc of Timeless Tattoos in Denver. 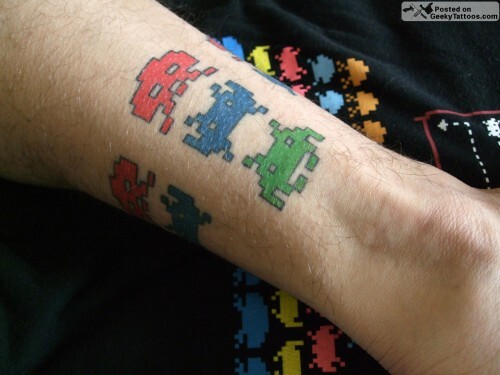 Tagged with 8bit, arm, Rae Leduc, space invaders, Timeless Tattoos.